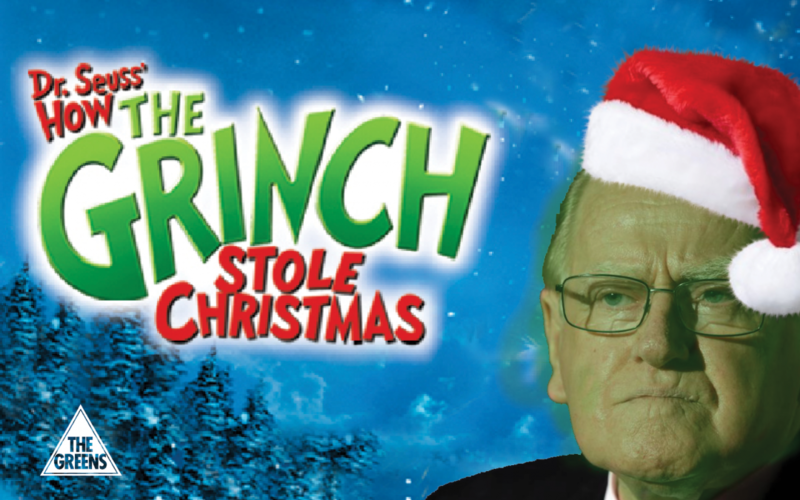 Fred Nile has teamed up with the Liberal National government to steal Christmas from thousands of retail workers. Removing the Boxing Day public holiday for retail workers will leave those employees with only three and a half days of guaranteed public holiday each year. A Greens amendment to send politicians to work on Boxing Day, along with retail workers, was rejected by the Parliament. “It is remarkable that the Christian Democratic party is supporting the government’s attack on public holidays over the Christmas period. “Public holidays are rare and the Greens believe should always be protected, this attack on retail workers is a low blow to some of the lowest paid employees in NSW. “Every Christian denomination, every church, has come out and denounced these laws and even this won’t stop Fred Nile voting for them. “For the Greens, the right for retail workers to have just a few guaranteed days off on public holidays trumps the right to shop any day. “Fred Nile will vote for pretty much anything provided a government Minister comes bowing and scrapping to him. It’s ugly politics in NSW. “The Greens firmly believe that if politicians are going to send retail workers to work on Boxing Day, then every politician should also do the same. “This is why we proposed an amendment to force politicians to come to work on Boxing Day to see for themselves what a severe impact it has their family and their holiday plans. “Retail workers are particularly vulnerable with casual shifts and insecure employment and very few will feel confident enough to tell their employer they don’t want to work on Boxing Day. “Retail workers only get a handful of guaranteed days off each year and now the Liberal National Party have teamed up with Fred Nile to steal another precious holiday from them. “We are committed to throwing this government out in March 2019 and restoring the Boxing Day holiday to retail workers as a matter of priority,” Mr Shoebridge said.